Home Schools of Nursing and Midwifery Updates 2019/2020 UCH Ibadan Nursing Form on Sales: Procedures, Price and Closing Date. 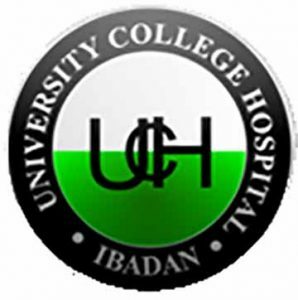 2019/2020 UCH Ibadan Nursing Form on Sales: Procedures, Price and Closing Date. possess the Senior Secondary School Certificate (WASSCE/NECOSSCE) or GCE O’Level or equivalent with at least 5 credit passes in English Language, Mathematics, Biology, Chemistry and Physics at not more than two (2) sittings OR NABTEB at one (1) sitting. Application form is available beginning from Monday 15th April, 2019 through the UCH SCHOOLS’ PORTAL at website https://portal.uch-ibadan.org.ng. Interested individuals are to do the following; (i) Make a payment of a non-refundable fee of Seven Thousand, Five Hundred Naira (N7,500.00) only through any commercial bank into University College Hospital, Ibadan T.S.A. Account- School of Nursing. Teller to be changed to receipt at UCH Accounts Department. (ii) Make a payment of Two Hundred Naira (#200.00) only into Oyo State Nursing & Midwifery Committee Account, First Bank Plc. 2019704292. (iii) Present both the UCH receipt and First Bank teller for the payment of #200.00 at Room 6, School of Nursing to collect PIN (Personal Identification Number) for login and online application submission. Print 2 copies of your form and Photo card and submit for authentication at Room 6, School of Nursing.